Yesterday I finished the first batch of my War Rocket Imperial faction. 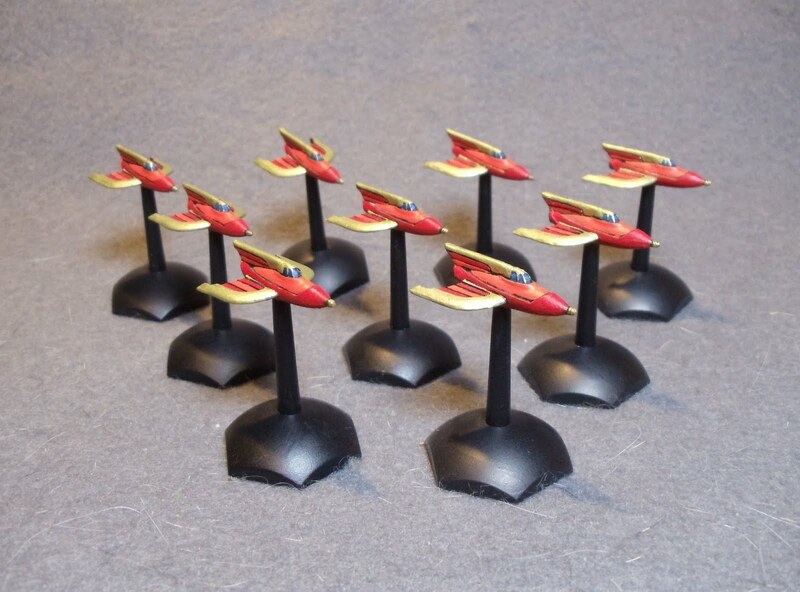 These are Class 1 War Rockets and are made by Hydra Miniatures. It was not a good night for the French as they only won 2 of the 6 games. The Spanish are like the Portuguese (which are crappy), except they're worse. Everything retreats at least 2 hexes instead of 1 and they're units are awful when it comes to moving and fighting. The only upside to them is they have a mechanic called Guerilla Action. It allows them to completely cancel a card played by the French and end their turn. Pretty powerful but the only way to gain them is to play Scout cards. 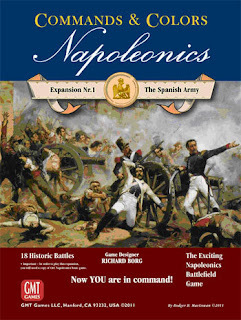 The components of the game are the usual high quality GMT components. 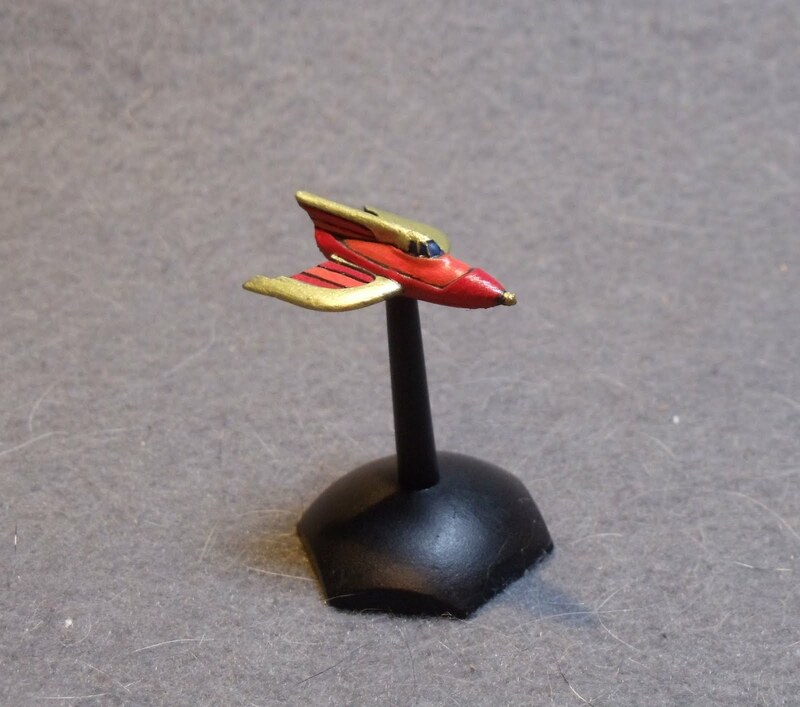 Next on my paint table are the Imperial Class 2 and 3 War Rockets. Last night I got in a game of Ticket to Ride - Nordic Countries. This version differs from most of the other games in that it is only meant for 2-3 players. It's a simple, reasonably fast and definitely light game. 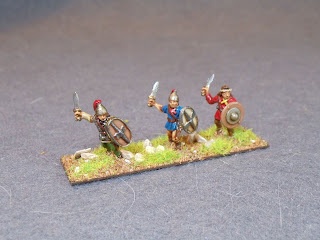 Today I finished the second half of the Ancient Spanish DBA army I was painting. 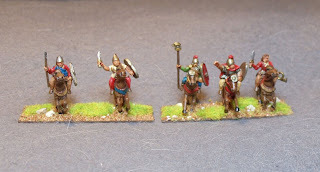 This is seven bases of warband (I believe, as I'm not a DBA player). 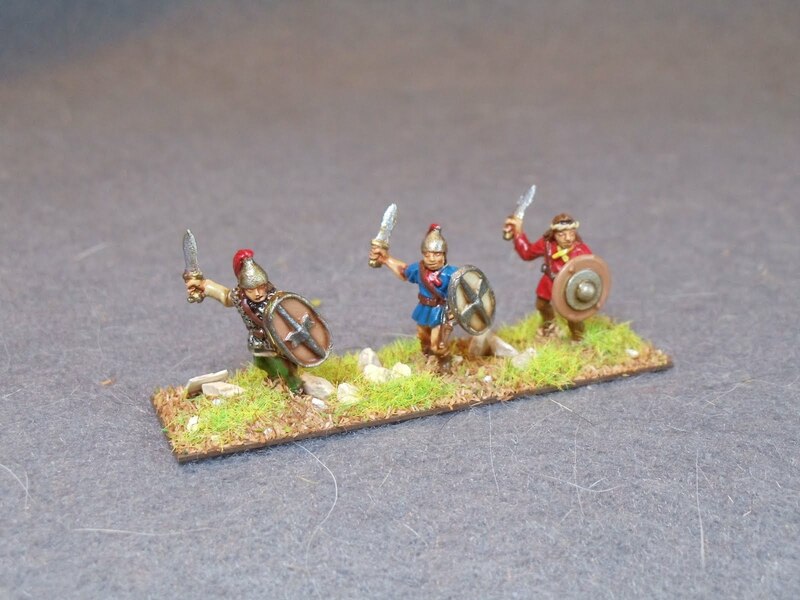 These minis are Coruvs Belli. 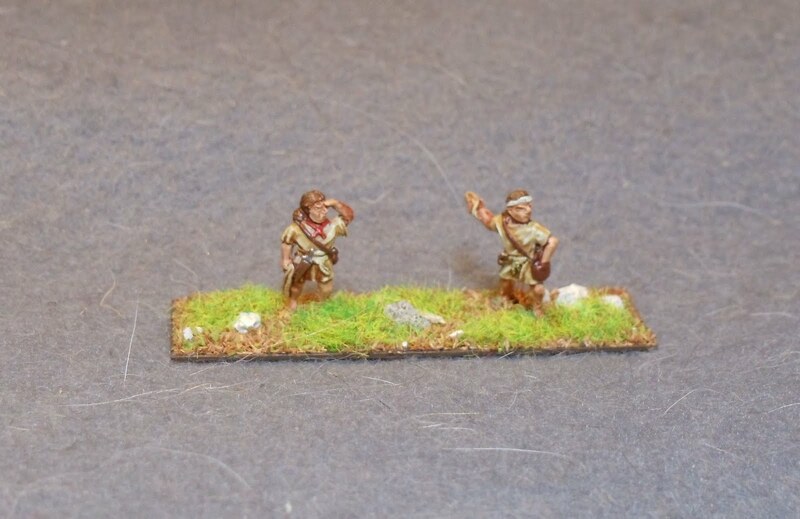 For this half I used the Army Painter Strong Tone for quick shading. They turned out quite nicely. I've normally use GW's Ogryn Flesh, Gryphon Sepia and Devlan Mud for my shading. Unfortunately at $4.50 for a mere 12ml it's no longer cost effective. 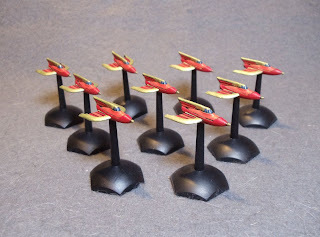 Up next is my first batch of War Rocket figs. Last night my group of friends and I started the Descent Sea of Blood campaign, with me as the Overlord. The players only got through (or almost through) 1 dungeon, but lost due to scenario time restrictions. It was a bit of a bumpy ride as some rules got forgotten or mistaken but hopefully next time it will be smooth sailing. 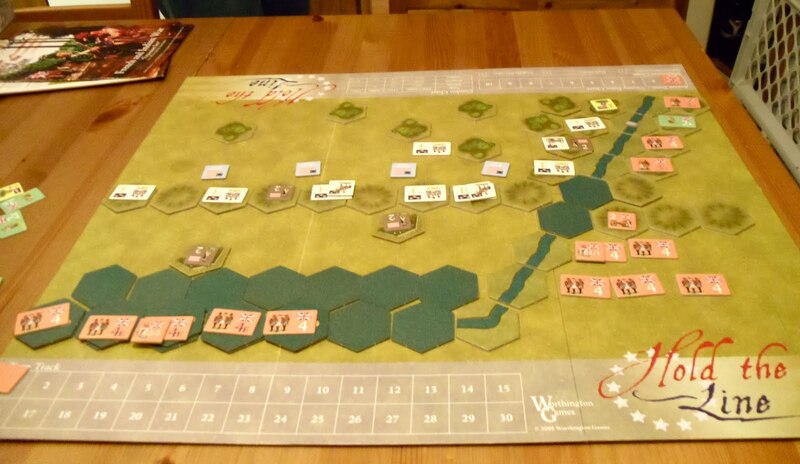 Tonight I went over to Mark's for a few games of Hold the Line with the French & Indian War expansion by Worthington Games. 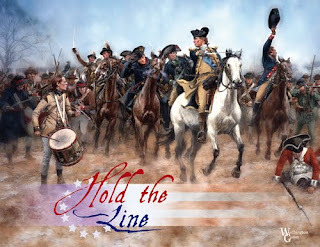 We got in 2 games of Battle of Snowshoes March 17, 1758 and 1 game of the Battle of Montmorecy Falls July 31, 1759. 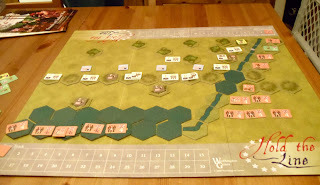 The picture below is of Montmorecy Falls with the British on the bottom and right of the map. The battle was pretty much a beatdown on the British. Having to attack French forces that are either dug in or up on the hills was pretty nasty. The game is pretty quick. 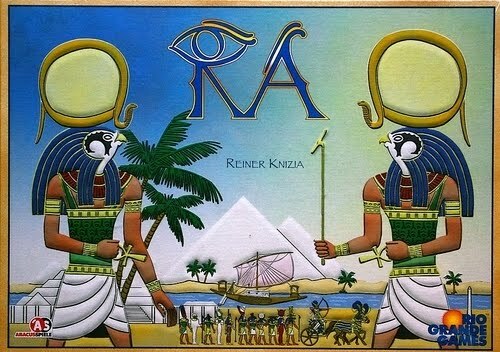 It looks similar to CCN but is not a card driven game. 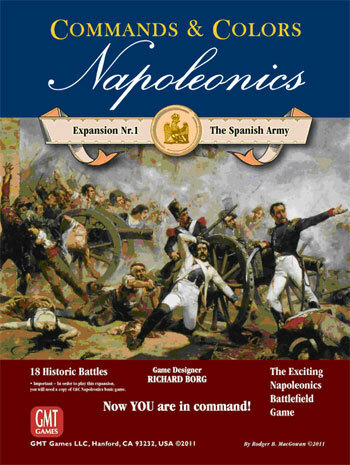 Each player has a set number of action points plus a random number of action points in which they can order their units to move and/or battle. Overall a pretty fun game to play. 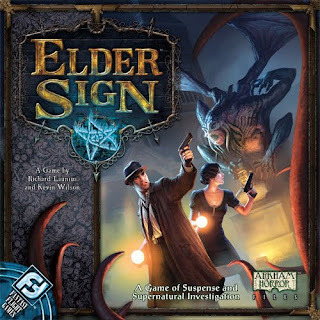 Yesterday I hauled out Elder Sign and gave it a whirl. Luckily it can be played by 1 person. It's a pretty fast game, compared to it's big brother: Arkham Horror. Fun, little game. Here is post 2. So 2011 is kaput. Looking back on the goals I had set back in January I partially completed what I wanted. 1. Finish my Warhammer Daemon army - I completed all my Daemon units that I was planning on doing and in addition I painted up a bunch more minis for my Tomb King army. 2. 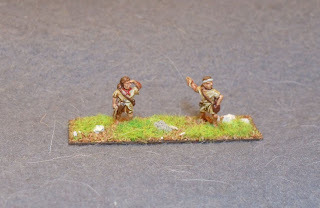 Finish my Impetus Ancient bases - I kind of failed here. I got a handful of bases done for my MayDay game but I still have probably have somewhere in the neighbourhood of 10-12 bases to go. 3. 15mm Sci-Fi - I completed 2 full forces. This was probably my biggest painting accomplishment for the year. 4. Misc. small projects - I didn't get much done here except for a number of Full Thrust units. 5. 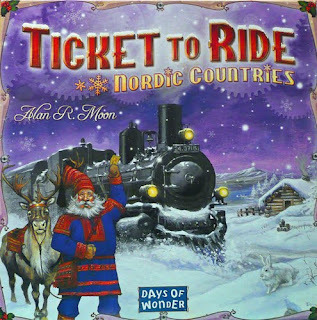 More boardgaming - I got a pile of boardgames played this year. Both FFG and Rio Grande have such a large stable of good quality games that it's hard to not focus too much on them. This year I plan to play just as many board games. I need to bring out a few games to the club's game night. I have a few games I'm really wanting to play: more Twilight Struggle, Dominant Species, Tide of Iron, Tannhauser, Elder Sign and definitely more Arkham Horror and Descent. 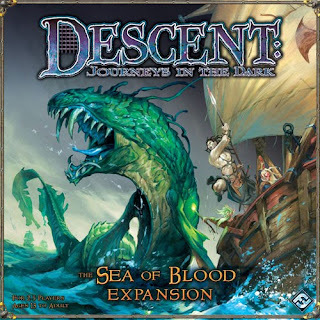 My friends and I are going to be starting the Descent: Sea of Blood campaign hopefully in the next few weeks. 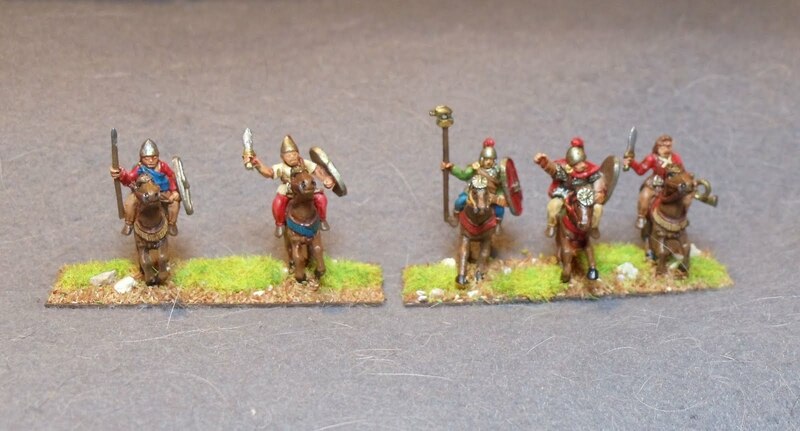 So this past year I completed my Daemons and Tomb Kings for Warhammer, painted 2 forces for some 15mm Sci-Fi gaming, painted up some Full Thrust units, painted a small Viking force for SAGA and painted a handful of Ancient units for Impetus. I also got a fair bit of terrain constructed. Unfortunately my goal of getting 500 minis painted this year was an utter failure as I barely made 376. I'm going to set myself a more modest painting goal of 350 figures. Oh and hopefully for 2012 my luck gets a whole lot better. This is the first of two posts. Last night for New Years I got together with some friends, enjoyed some food and played some games. We played a game of Arkham Horror and I managed to single handedly lose the game for us on 1 die roll. Hopefully my craptastic luck stayed in 2011. Next we played a couple games of Ra from Rio Grande Games. This was a fun little auction game and we knocked off a couple games in an hour. The rules could have been written a little clearer on how you start the game. 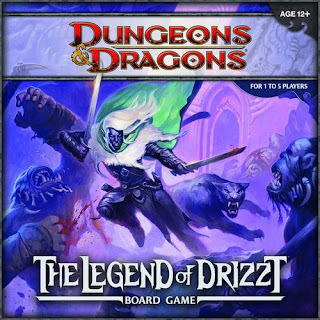 We started off 2012 with a game of The Legend of Drizzt from Wizards of the Coast. 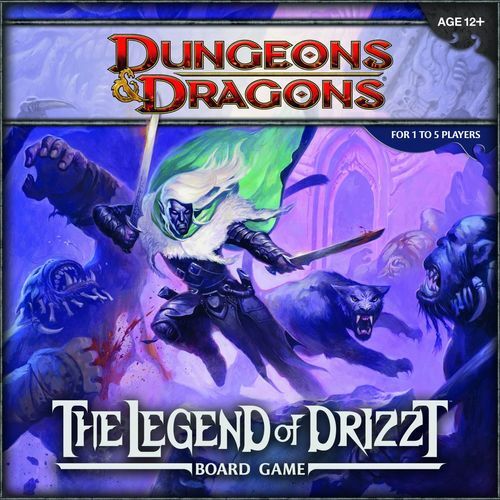 We've played the first game in this series (Castle Ravenloft), and they're not easy games to win. Probably the one thing I don't like about them is the fact you're always under attack or taking damage from traps and the fact that it's hard to heal. We bit this game but a number of the encounters didn't affect us and I think our characters were a little better. My second post will give a rundown of 2011 and my plans for 2012.